Beaphar Flea Collar for Cats is a water-resistant collar that will kill fleas and prevent further reinfestation for up to 6 months. The active ingredient is continuously released from the collar and is distributed through the subcutaneous fat all over the body. Fleas are safely destroyed. The vermin band is about 6 months effective and waterproof. The length of this flea collar is 35 cm. Fitted with elastic section to enable cat to free itself if caught. 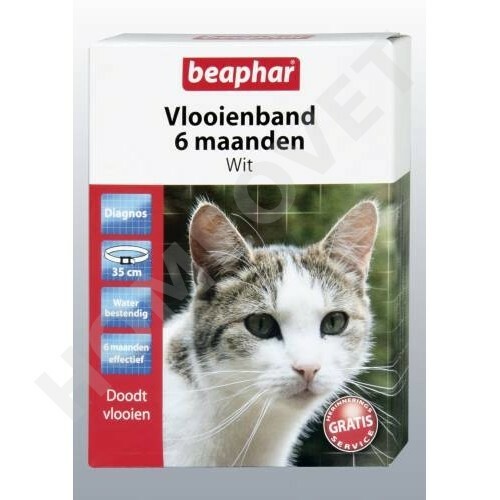 Beaphar Cat Flea Collar - Reflective for up to 6 months.